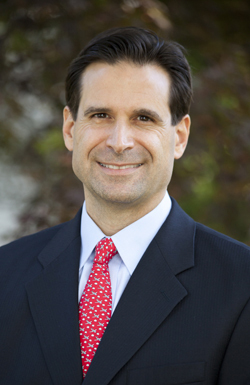 Fairfield Endodontist Dr. Brian Amoroso is a graduate of Fairfield University. He received his Doctor of Dental Surgery degree from the University of Buffalo School of Dental Medicine and completed a General Practice Residency at Danbury Hospital. Dr. Amoroso has practiced general dentistry in the towns of Greenwich and Stratford, and has served as Assistant Attending Dentist at Danbury Hospital. He has been in private practice limited to Endodontics since completing his specialty training at the University of Connecticut, School of Dental Medicine in 1997. 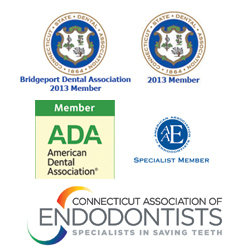 Dr. Amoroso is a member of the American Dental Association, Connecticut Dental Association, Bridgeport Dental Association, American Association of Endodontists, and the Connecticut Association of Endodontists. He serves on the Connecticut State Dental Association Governance Review Committee and Ethics Council. He has been a long standing Delegate to the Connecticut State Dental Association House of Delegates. He is a Past President of both the Bridgeport Dental Association and the Connecticut Association of Endodontists. Dr. Amoroso is the 2013 recipient of the Bridgeport Dental Association Dentist of the Year award. The Dentist of the Year award has been presented by the Bridgeport Dental Association since 1978. Candidates must be members of the local, state or national associations, and have made significant contributions of time and effort to the dental association, or have made outstanding contributions to the profession that reflect positively on the profession as a whole. He is a Fellow of the Pierre Fuchard Academy and International Honor Organization. His recognitions have included Top Dentist Awards in Connecticut Magazine, Westport, Weston and Wilton Magazine and Fairfield Living Magazine. The recognitions have been awarded based on peer review with attention given to years of experience, professional background, continuing education, patient manner and the use of innovative technologies. Dr. Amoroso is privileged to have received the nomination in each magazine for every year each magazine has compiled the list. Dr. Amoroso has been a regular volunteer for community outreach programs, including the ADA Give Kids a Smile program and the Connecticut Mission of Mercy Dental Clinic. In his leisure time, Dr. Amoroso enjoys spending time with his family, running, cycling, gardening, and anything aviation related.